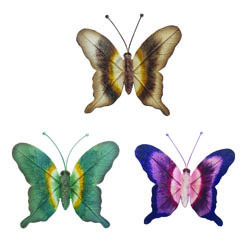 This butterfly wall decor is influenced by the classic Swallowtail Butterfly shape, which is common throughout much of North America and represented by a multitude of species. These swift fliers keep low to the ground and do not stay on a surface for very long. 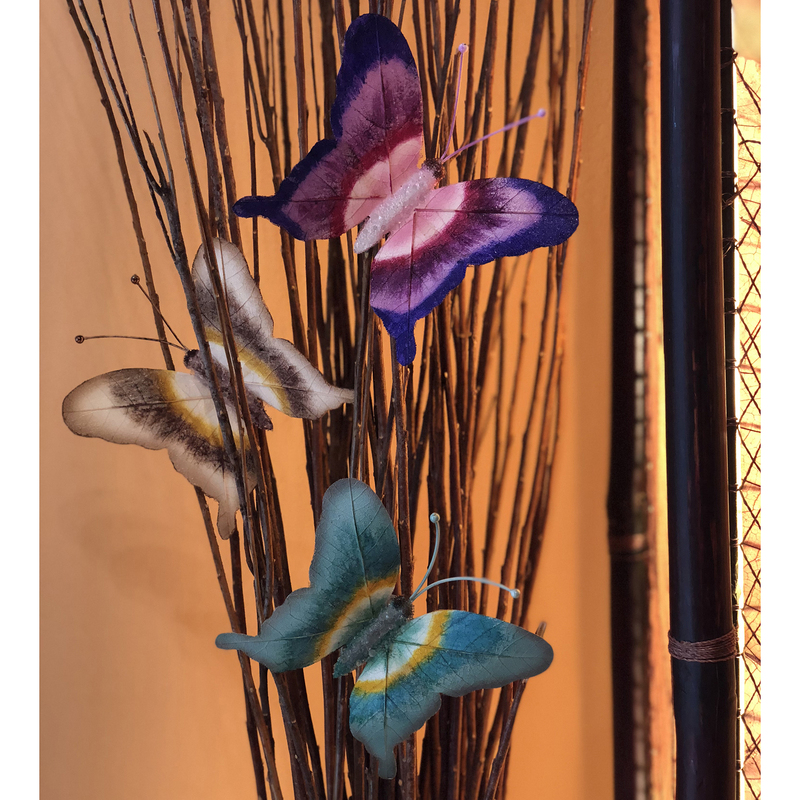 For this piece, the artist incorporates real fossilized cocoa leaves to capture the delicate veins and structure of the swallowtail wing. The real leaf also adds an organic feel to the piece. Bright colors with transitioning hues reflect the natural colors of these beautiful creatures. 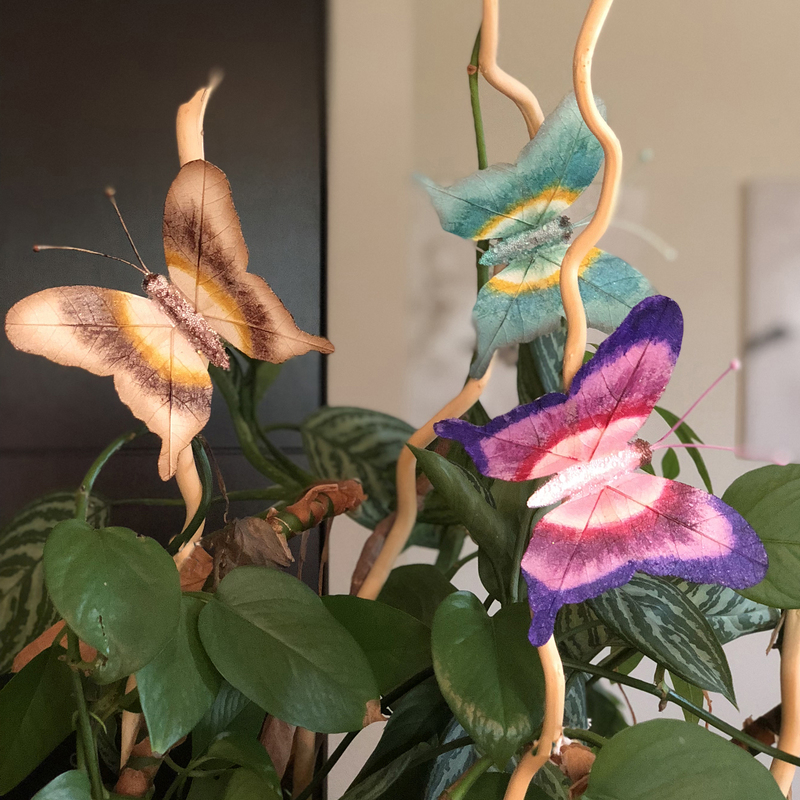 This butterfly includes a strong clip on the back to attach and accentuate your favorite potted plant, lamp shade or other items with a splash of color and design. Features fossilized cocoa leaves that are hand placed onto a metal backing and then laminated, creating the structure of the butterfly wing. The artist then paints the leaves by hand and adorns them with decorative accessories to create shine and sparkle.